What is a Consumers Kitchen? 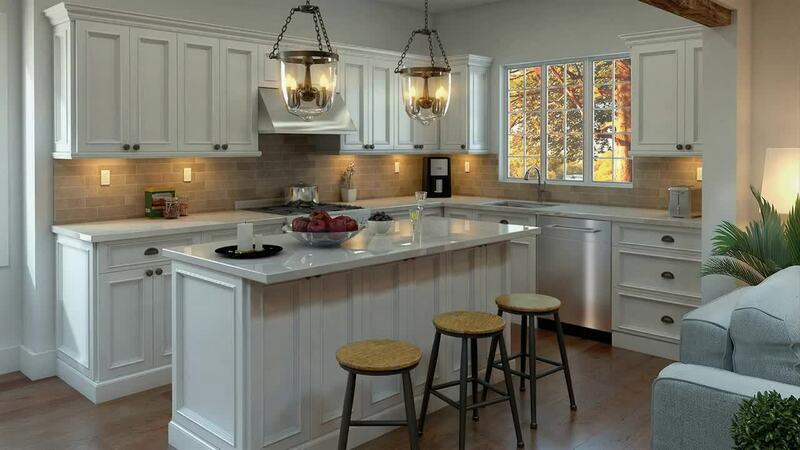 Featuring the finest construction with solid wood door styles, hand matched wood species, handcrafted finishes and finish treatments, this cabinetry line offers consumers the best opportunity to invest in creating the kitchen of their dreams for years and years to come. During Our Limited Time Factory Bonus Sale! For a limited time, our Galleria Custom handcrafted kitchen cabinets are at modular cabinet pricing and include our famous custom cabinet upgrades at absolutely no charge! Plus, You'll Get These Unbelievable FREE Factory Bonuses! Please note: the above limited time factory bonuses may be withdrawn at any time without notice. Browse through these photos of actual customer kitchens for ideas and inspiration! Learn more about what makes Galleria Custom one of the most impressive cabinet brands in the country today. Want to learn more about how we can create the Galleria Custom kitchen of your dreams? Fill out the form to be contacted by one of our customer service specialists so we can learn a little bit more about your kitchen needs and desires. Remember, at Consumers you'll find more service, selection and value! Copyright © 2019 Consumers Warehouse Center Inc. Subscribe Below for our Monthly Newsletter!